Championship contender Courtney Force rolled out a hot pink hot rod at Dallas and Las Vegas in honor of Breast Cancer Awareness Month and all those who have been diagnosed with the disease.Force drove the Advance Auto Parts Pink Chevrolet Camaro Funny Car in the AAA Texas NHRA FallNationals at Texas Motorplex and in the NHRA Nationals at The Strip at Las Vegas Motor Speedway. 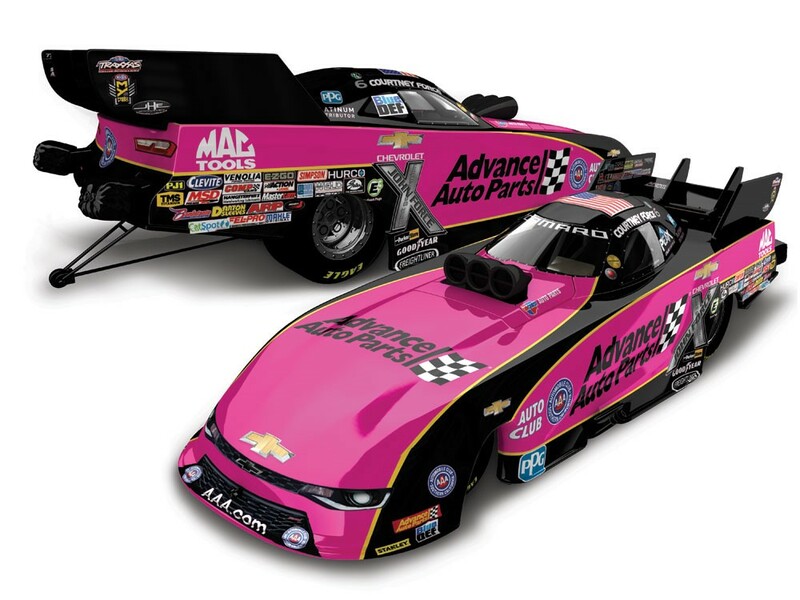 She even had a hand in picking out just the right shade of pink for the paint scheme.Now John Force Racing fans can pre-order their own pink Funny Car with this officially licensed Advance Auto Parts die-cast. 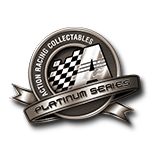 Each is available in both 1:24 and 1:64 scales and built on Lionel Racing’s new Funny Car tooling.